Journey to the West | Collier Wealth Management, Inc. 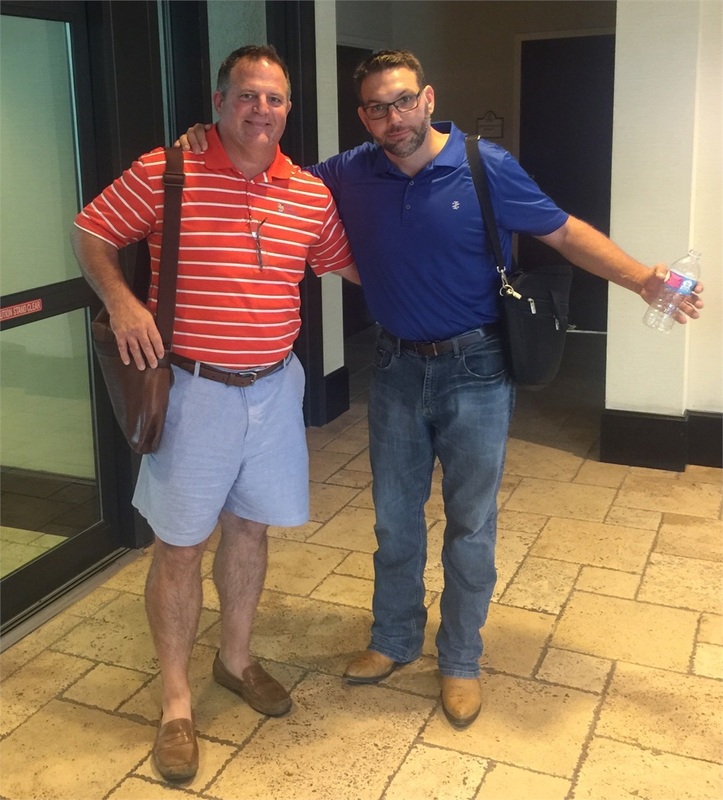 Recently me and my business partner, Scotty Neal, flew out West to give one of the biggest presentations of our career. My wonderful neighbor Kaye Ivanhoff volunteered to take our kids until my wife returned. It turns out my son had pneumonia and my wife would be home that afternoon. Scotty’s wife Leslie, brought over a meal for my wife and kids later that day, which was a big blessing as well. As we high-fived and gave thanks to the Lord, we then asked what about our bag? The “bag” being the luggage Scotty checked-in back in Chattanooga that has our suits in it. Did I mention that this is the biggest presentation of both our careers? The attendant told us….”DON’T WORRY”! So, we didn’t and we got to our destination at 11:30 pm and made our way down to the baggage claim. By 12:30 am, we were informed that our bags were on their way, IN THE MORNING!!!!! They told us, don’t worry (again) the bags will be at your hotel before your presentation. So that morning, Scotty and I had breakfast with some of the people we are partnering with and one of the main contacts. After that we went back to the counter to request an iron, in hopes that our luggage with our suits would show up and we would be able to iron our suits. As the clock drew closer to our appointment nothing had arrived. We then prayed and realized this was it, and we need to make the best of it! As we made our way down to the lobby, we stopped by the counter to cancel them bringing us the iron (we requested an hour prior) and the lady apologized for not having it delivered. We laughed and told her it is all good, we didn’t have anything to iron anyways! We entered the tall tower for our appointment, and went up to the 21st floor to present what we had been working on for almost a year, in our street clothes - in what we wore on the plane! No big deal right? Did I mention this is the biggest presentation of both our careers? What makes it even worse is that it took a great deal of effort to get all of these very successful and busy people together, along with all of our support team. As it turns out, it was an excellent ice breaker and the presentation could not have gone any better! In fact, we believe it made the decision makers relax and connect with us. As the presentation came to an end, we realized that we have a great shot at this opportunity. What we learned is you have to press through life’s challenges, have faith, and make the best of every situation. Sometimes it is good for people to see how you handle things, more so than what you say. God gives you all you need, even though sometimes the world tells you that you need more! In the end I am happy to report that our “bag” was in Chattanooga when we landed Monday night at 11:30 pm.